Very rarely do we see new Parilla spares advertised for sale, even rarer to find engine parts but what chance a NOS engine? Just such a thing was recently unearthed , along with another 5, in the UK. All are now in the hands of Parilla enthusiasts here & will hopefully be adding to the number of UK bikes on the road/track. The outside looks pretty grotty but inside its a very different story. 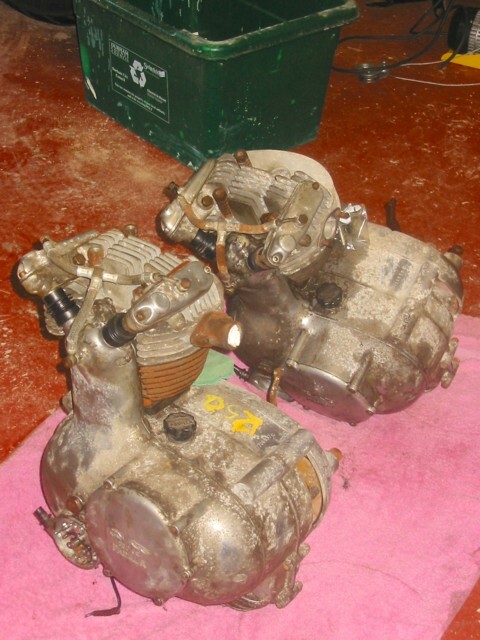 The engines had been stored in a leaky shed & suffered severe corrosion to the crankcases & outer covers. The quality of Parilla castings varies greatly, hopefully the crankcases will all be OK but I’d doubt if the outer covers will ever be a mirror finish again. With the timing cover removed it can be seen that the interior is pristine. Some small parts are missing, such as the cam tensioning springs, which have probably been used to replace broken ones in a running engine. The X1 cam has been removed in this pic. Note the shiny bronze oil pump – never seen one like that before! 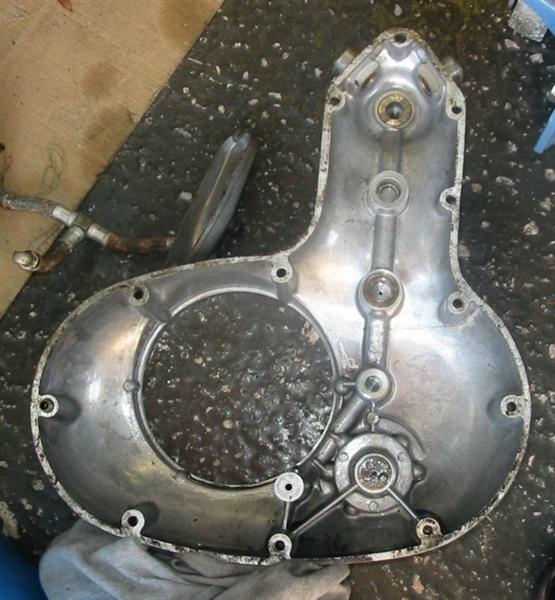 The inside of the timing cover shows a similar clean appearance and thankfully no water has entered to ruin the internals. 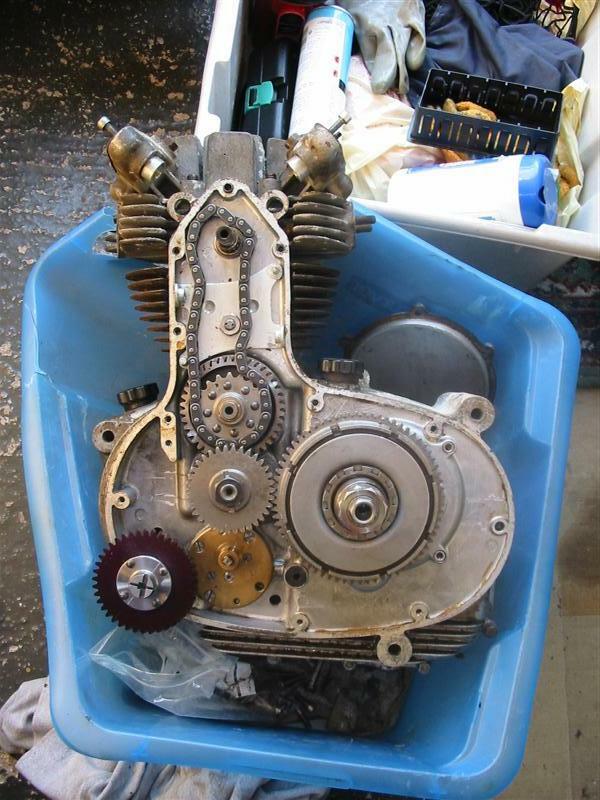 The plan is to strip the engine & inspect bearings plus replace seals & gaskets before reassembly. Now all I need is a frame…..